I love oatmeal cookies. Actually, I think I love oatmeal. Period. Oatmeal raisin cookies are like, in my top three. The other two cookies are Oreos (duh), and sprinkle cookies. Probably. Only the ones from the bakery, though. You know, the crumbly, buttery ones with a million sprinkles? Those are the jam. Oatmeal raisin would be at the top because homemade, but either way, I needed to have an oatmeal cookie in my life soon. When I was brainstorming aloud to my friends on what I should make next, I mentioned an oatmeal cookie. I have already done my favorite, but with the mention of “oatmeal” alone was enough to cause a mini stir. I couldn’t finish my sentence before I heard “I HATE OATMEAL COOKIES.” Emphasis on hate. Mostly because oatmeal cookies always seemed to equal oatmeal raisin. While my little oatmeal raisin lovin’ heart broke, I reasoned with them. I also got the whole “raisins are deceiving” line, too. Although, that reaction is a lot funnier. So, I settled on oatmeal chocolate chip. I get to eat my oatmeal cookie and everyone else gets to enjoy them raisin free. While I’m still a tad offended at the fact that there are so many raisin haters out there, I figured this was a good compromise. 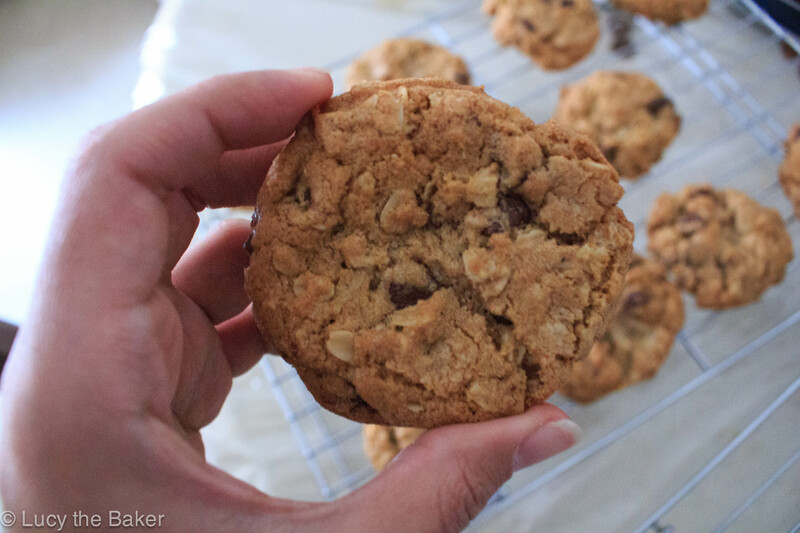 Now, oatmeal chocolate chip cookies are basically a chocolate chip cookie but with oats. Sounds basic, to be honest. The last thing I want is a basic cookie. I sat there with my browser open and thought “how can I make these unbasic? How can I take them up a level?” And then it hit me. 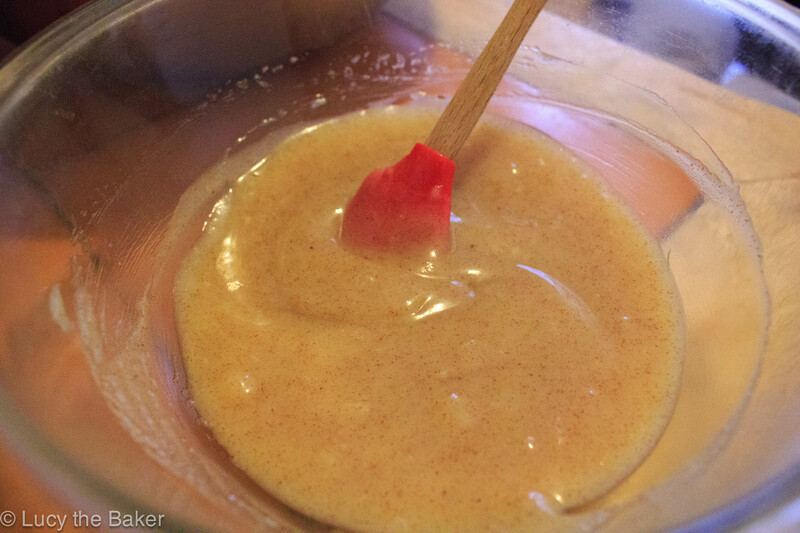 In my time baking, well before this blog, I have only attempted to make brown butter once. Let’s just say, I took it too far. I had light black butter. Not appealing, and definitely not tasty. With the help of some instructional GIFs, from one of the last places I’d look to on the internet for kitchen advice, I tried to make brown butter again. I was cautious of it going too brown, so my brown butter might actually be tan butter. Or light brown butter. Or maybe taupe butter. I don’t know! What I do know is that when I was making this, my house smelled heavenly. I could not believe that melting butter, and taking it a little further than just melting, could make my house smell that good. It smelled like warm, toasty, buttery, and nutty all at the same time. I was amazed, and then I got excited because if it smelled that good, I already knew my cookies were going to come out poppin’. Ideally for cookies, you have softened butter. After browning mine, I let it sit room temp so it can harden a bit. It’s funny that I had to reverse the technique here and go from melted to softened; never thought I’d have to do that! I stirred it before it got too hard to evenly distribute all that golden brown deliciousness. Granted, I could’ve let it get a tad stiffer but I was short on time. Anyway, the cookies came out unbelievably good. 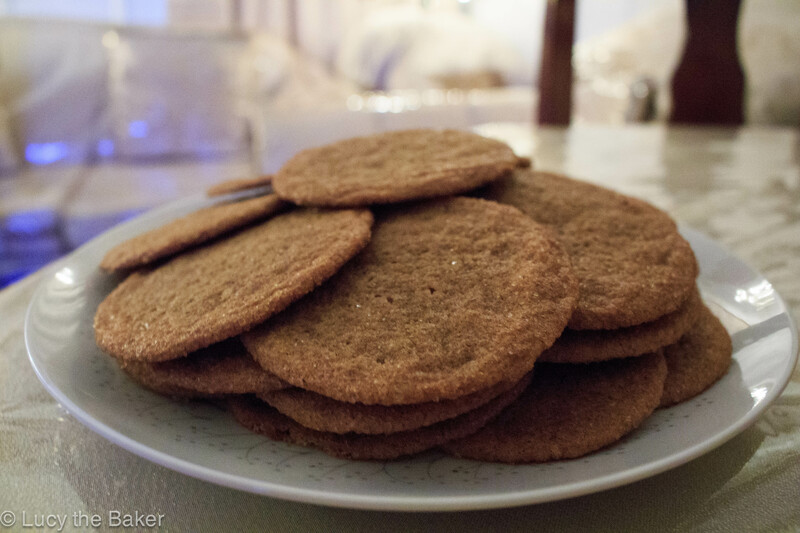 The brown butter was PERFECT in these cookies. Like, I can’t even at how great this came out. I’m still stunned. It added a hint of nuttiness to the cookies that I just couldn’t believe. I had a (ahem, or two) cookie while it was still warm, and I wanted to melt just like the chocolate chips. 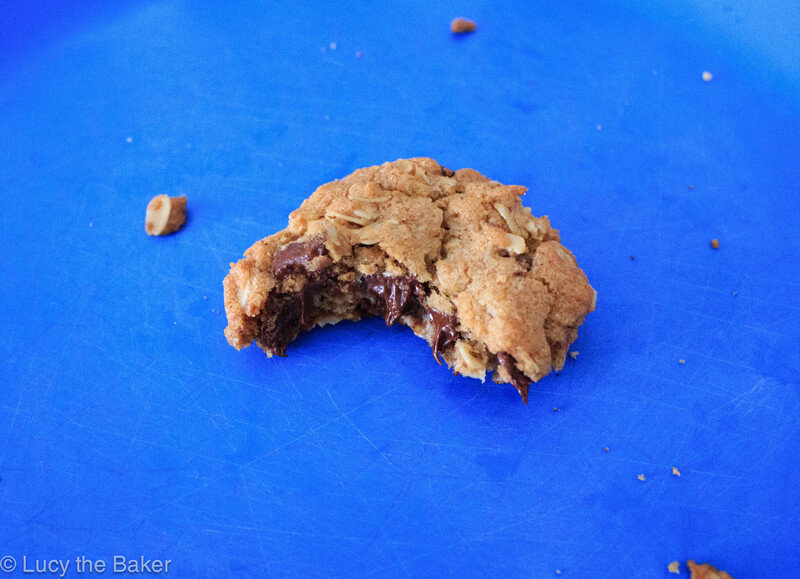 Super chocolatey, with that nutty hint from the brown butter, and then with the crispy but chewy addition of the oats. OMG. IT. WAS. CRAZY. I took them with me to work and they were gone in minutes. 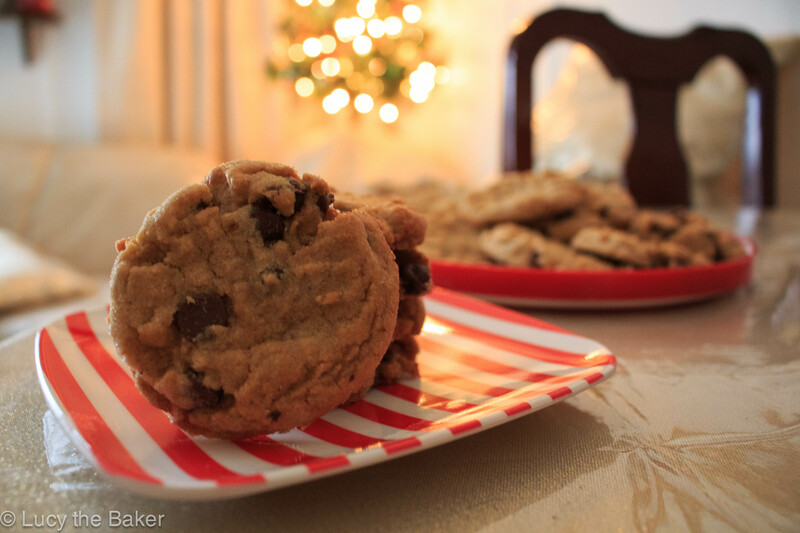 Even the oatmeal haters became oatmeal lovers after these cookies. 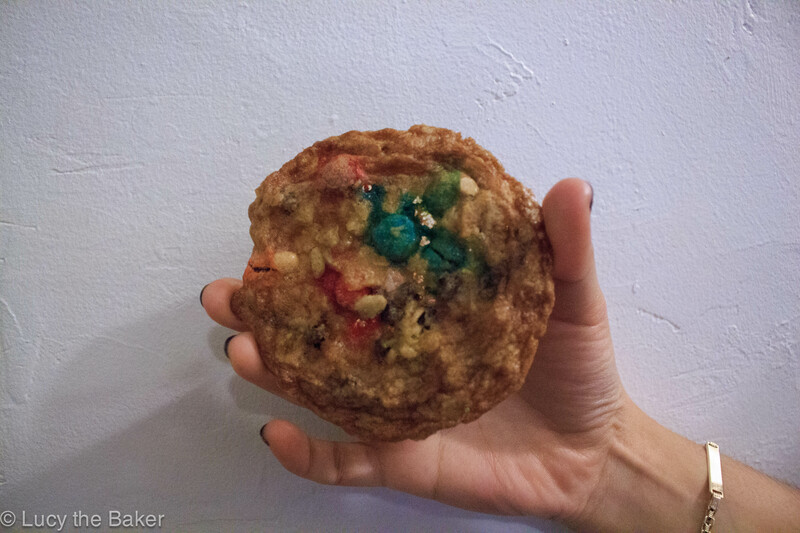 So, if you have an (or several) oatmeal skeptic(s) in your life but need to fill that oatmeal void with something everyone can enjoy, try this cookie. 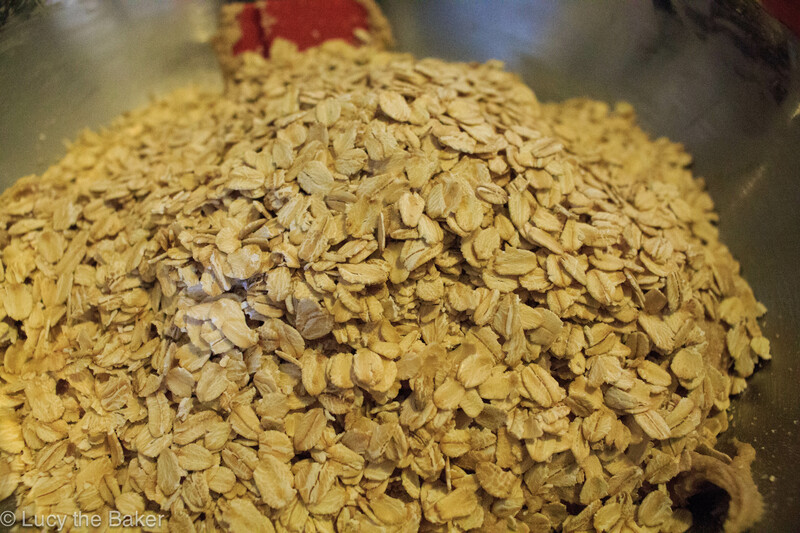 Oatmeal haters will see what they’ve been missing. Make the brown butter: in a small pot or sauce pan, melt both sticks of butter over medium heat. Once completely melted, begin stirring. You’ll see the butter foam up as the milk solids rise to the top and begin to pop. KEEP STIRRING. While you’re stirring, pay attention to the butter’s color. A good way to see what’s happening, if the foam is all in the way, is on the sides of the pan. For me, it got brown as well, which is how I knew I was close. Once you see the butter is a nice light brown color, GET IT OFF THE HEAT ASAP. Pour your brown gold into a heatproof vessel and let it hang out. It’ll continue to get browner (allegedly) as it cools. Cool until it’s hard but soft enough to cream with butter. Cookies: Preheat the oven to 350F. Line your baking pans with parchment paper and set aside. In a large bowl, cream the cooled but softened brown butter and both sugars until creamy, for about 5 minutes. Add the eggs one at a time, and beat well after each addition. Beat in the vanilla extract, and mix until blended. In a separate bowl, whisk together the flours, baking powder, baking soda, salt, cinnamon, and nutmeg. Slowly incorporate the dry ingredients into the butter and egg mix; making sure to incorporate the dry ingredients well. 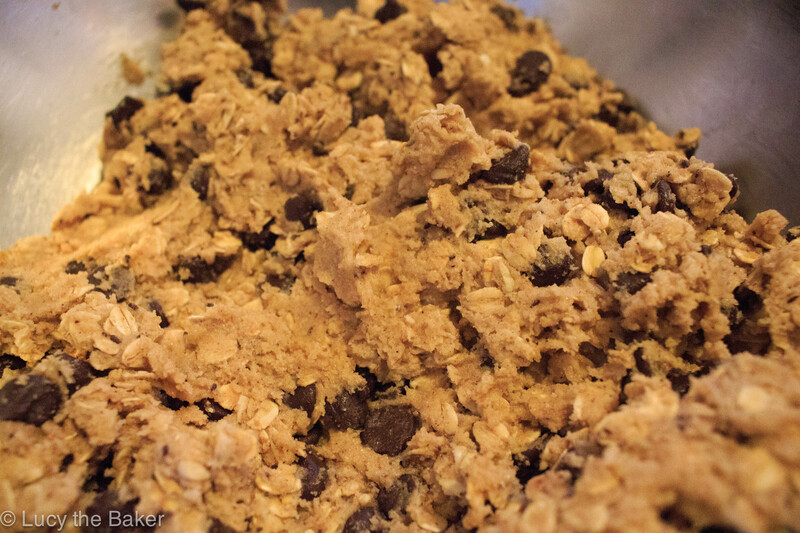 Stir in the oats, and finally fold in the chocolate chips. The whole wheat flour is optional! I threw it in there for added “health” but feel free to use the 2 full cups of all-purpose. Seriously, don’t burn the butter. Store in an airtight container at room temp. They should be good for a couple days, if they last that long. 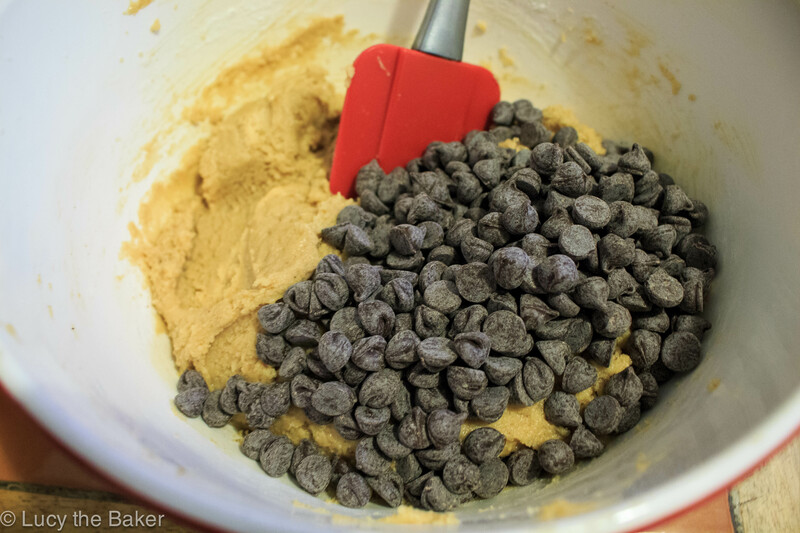 Alternatively, you can portion out the dough and freeze it for cookies anytime. Angel food cake is a meringue based cake. I’m already familiar with meringues, so this wasn’t very new to me. Besides the fact that meringues and I roll mad deep, I’ve made angel food two other times. The first time didn’t go so well. My cake didn’t rise as high as it should’ve. While it yielded tasty results, it didn’t look like the cake I envisioned. What went wrong? I probably deflated the whites a bit. Since I now know my way around meringues, I knew this wouldn’t happen again, and I’ve got pictures to prove it! At first, I was skeptical to make these cupcakes. Angel food, the big cake, requires cooling upside down. It’s the weirdest thing but hey, I’m not going to argue with that recipe. I wondered how it would work or if the cupcakes would end up deflating after cooling. Even with those doubts in my mind, I went for it. The first step to making this recipe is to separate a dozen large eggs. We only need the whites. Save the yolks, though! I have 12 yolks chillin’ in the fridge with no aim. I’ll think of something. After separating, leave them out for a while to get to room temperature. 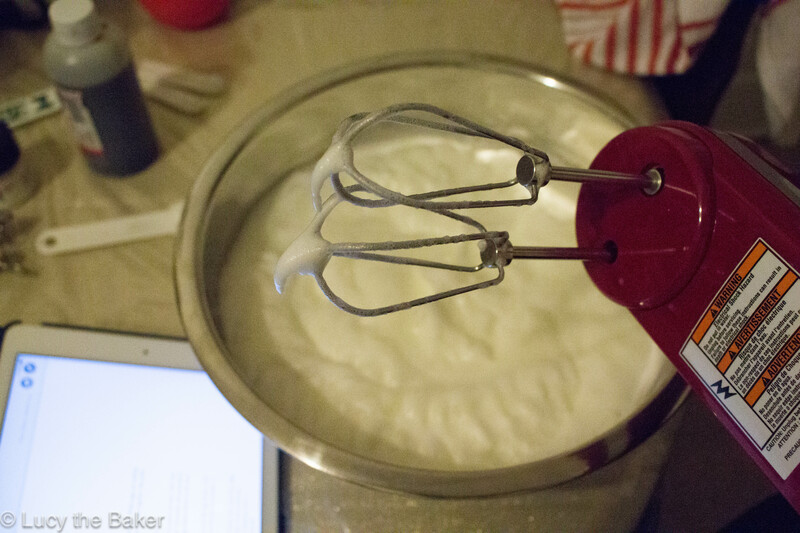 Egg whites are best separated cold but they whip better room temp. Strange but true. I separated mine and went to the gym. Seems oxymoronic to make these after the gym but that’s how I roll. I also went ahead and pre-sifted the cake flour, powdered sugar, and salt, and set it aside. When in doubt, mise-en-place it out. Quote me. After I got back from the gym, I got to work. Let me preface this by saying all your utensils MUST BE GREASE FREE. Whites are so finicky, they won’t get all voluminous if there’s grease. They’ll never, ever whip. Ever. No fixing that, so make sure your bowl, beaters, and spatulas are grease free. A good way to do this is to wipe your tools down with either lemon juice or vinegar. Now that everything’s clean, preheat the oven to 350 and line a million cupcake pans. Okay, so not a million but this recipe faithfully makes 36 cupcakes, so line enough wells for that. Set all that aside and let’s get started. Pour those whites into your giant bowl, or in your stand mixer if you’re a lucky duck. Start beating the whites until they get frothy and bubbly. Shouldn’t take too long. Add the cream of tartar. What is that? Well, it’s neither cream nor tartar. It’s actually potassium bitartrate, which is a byproduct of wine making. I hear they scrape this stuff off wine barrels. It’s purpose here is to stabilize the whites. With this stuff, your whites will not fall. Crucial stuff here. After adding the cream of tartar, continue beating the whites until you have soft peaks. How do you know you’re there? Turn off your beaters, dip them straight down into the whites and pull them back up. Turn the beaters on its side and look at the whites on the tip. If some of the whites stay on the beater and look like the picture below, you’ve got soft peaks. No whites on the beaters? You’re not there yet! Keep going and check periodically. Continue beating the whites and gradually add the sugar. Keep beating the whites until they’re super fluffy, and thick. At this point, they’re probably at a medium peak (like in the photo). Add the vanilla and beat it in. You know you’re done whipping the whites when the trail of the beaters stays on the whites. No trails? Keep going. At this point, we’re done beating. Grab your spatula and pre-sifted dry ingredients as it is time to fold them in. The best way to fold in the dry ingredients is by doing it in thirds. Don’t throw it all in and mix because you’ll risk deflating the egg whites. We definitely do not want that. Despite the fact that there’s cream of tartar in here, it won’t help keep all that air in. Fold gently and carefully, but also making sure to completely incorporate the dry ingredients. My favorite folding method is the “cut and sweep.” I basically take my rubber spatula and “cut” straight down the middle of the bowl, then I “sweep” the side of the bowl into the middle. Rotating the bowl helps! 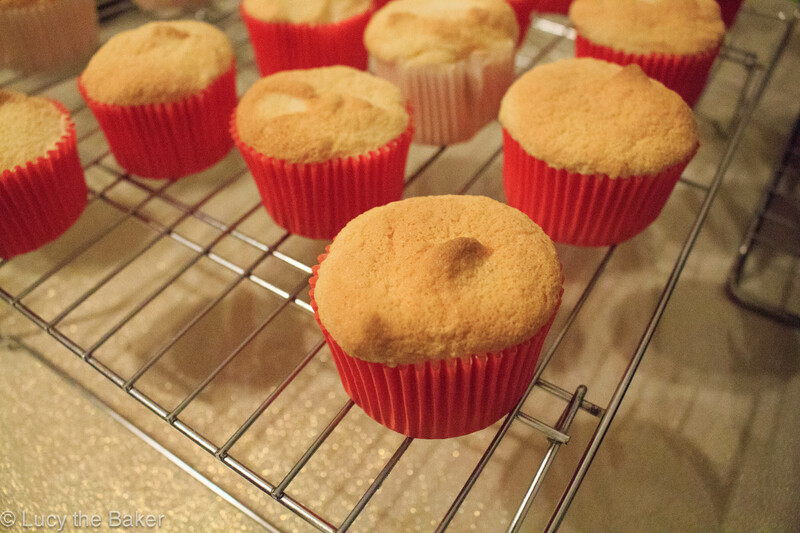 Once done folding, spoon the batter in gently into the lined cupcake tins. Bake the cupcakes for 18-19 minutes or until golden and puffy. Cool completely and top with frosting. I went for a raspberry whipped cream because I low key made these for Valentine’s Day. Except not really but these make a cute lover’s day dessert! Like, I won’t tell if you and your partner eat all 36. Even with all that doubt in my mind, the cupcakes came out beautifully. Fluffy and light, just like they should be. They’d be completely fat free had I not topped them with whipped cream but it’s whatever! 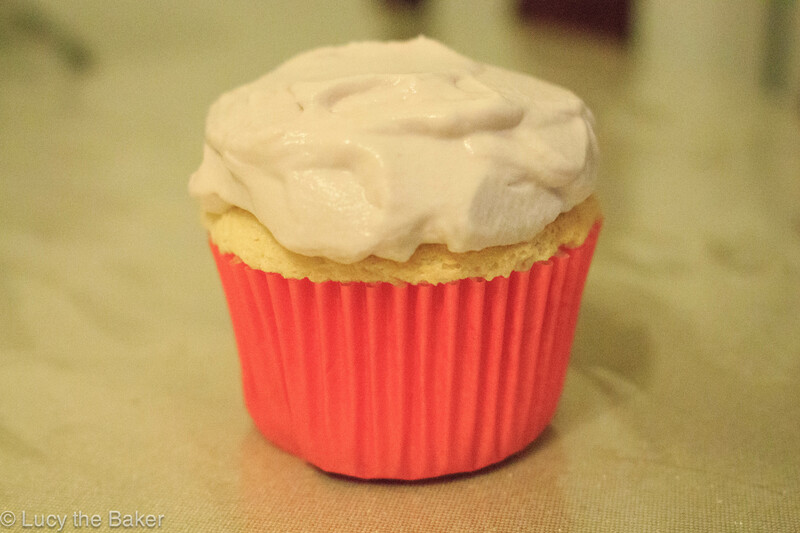 I hope I helped demystify the angel food process (in cupcake form, at least). While it looks intimidating, the results are way too delicious to not try and make these. 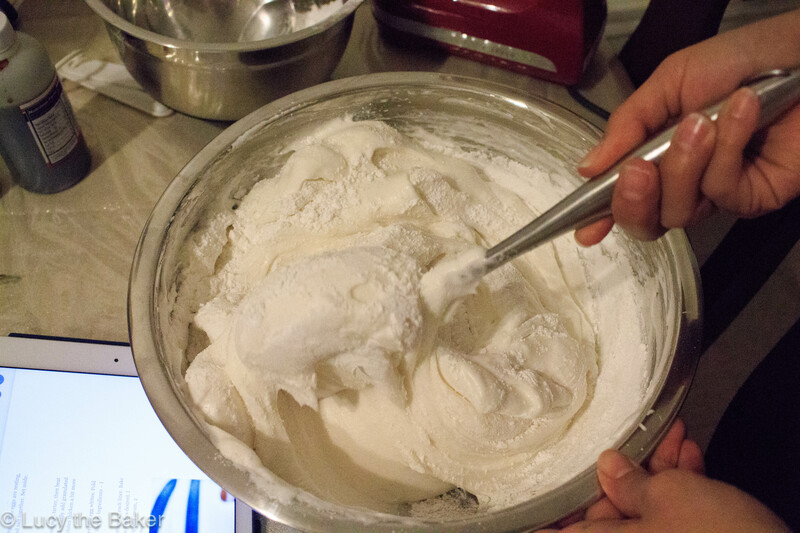 Using an electric mixer or stand mixer, begin to beat the whites until frothy and bubbly. Add the cream of tartar, and continue beating until soft peaks form. Gradually add the sugar, while still beating, and continue until the whites have thickened and have medium peaks. From there, beat in the vanilla extract. Using a rubber spatula, gently fold in the dry ingredients in thirds, making sure to fully incorporate each addition before adding more. Once batter is smooth, carefully spoon the batter into the prepared pans. Bake the cupcakes in the preheated oven for 18-19 minutes or until golden and fluffy. Cool the cupcakes completely before frosting. Hey all! Merry Christmas! I hope everyone had a lovely holiday full of warmth, happiness, and family. You probably noticed my absence all of last week. 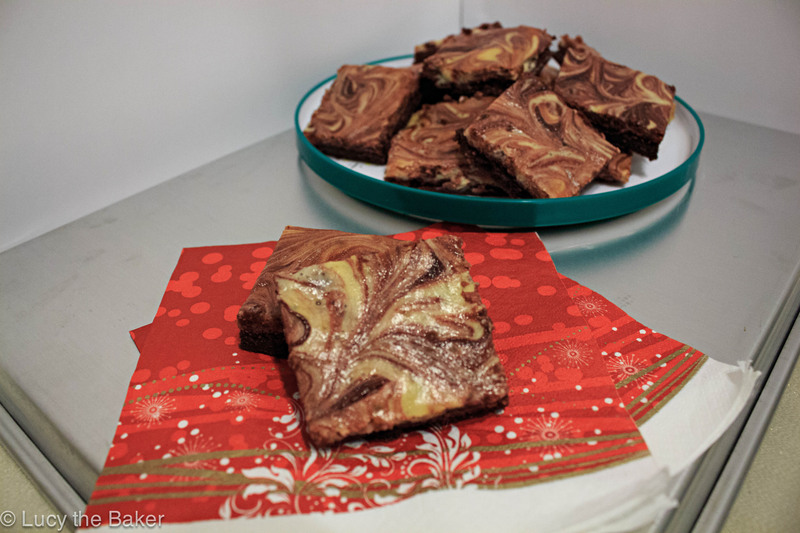 I took an unintentional blogging/baking break, by way of a stomach virus. I spent all of last week feeling absolutely terrible and nauseous at the sight of food. Not what you wanted to hear following Christmas wishes but it’s true! 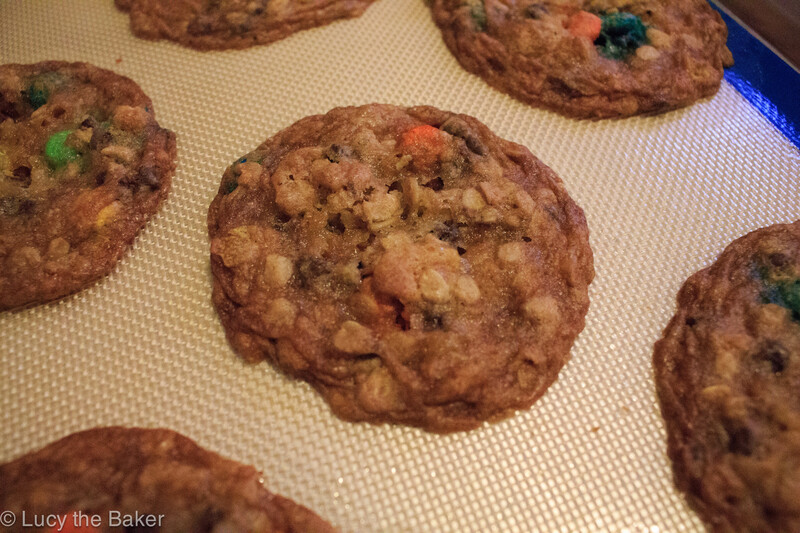 I had two more #CookieCraziness recipes planned, including one with a new gadget my plans were quickly brought down. I’m feeling much better, and have been slowly regaining my appetite for delicious things again. I’m glad too because as a food lover, not eating is blasphemous. Anyway, let me tell you a bit about my holiday. In my house, we celebrate the 24th, not the 25th. It must be some Dominican tradition but that’s just always how it’s been. Back in the day, we used to have a full house but now it’s just us four plus our neighbors. I actually prefer it this way because there isn’t much pressure to be super social, and I can have more leftovers. Besides the fact that there’s really only eight of us (plus/minus 1), my mom always cooks a lot. To be honest, Christmas Eve is basically a repetition of Thanksgiving in terms of food, except that the main protein changes. Instead of turkey, we have pork (or pernil for the Latin@ folks). I actually prefer the pernil to turkey but for tradition’s sake on Thanksgiving, we roll with it. 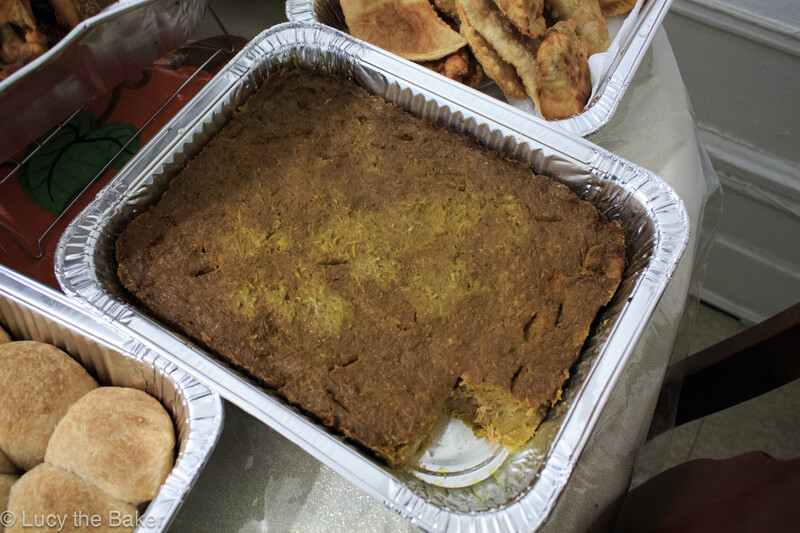 From L to R: Pastelon, Pastelon de Verenjena, Moro de Gandules, Platanos Maduros, Cassava, Parker House Rolls, Pernil, Potato Salad, Basic Salad, Pastelitos. Parker House Rolls: the same we had at Thanksgiving (from Bon Appetit), except that I doubled the recipe because of reasons. Still a winner! Pernil (or pork): Star of the night. 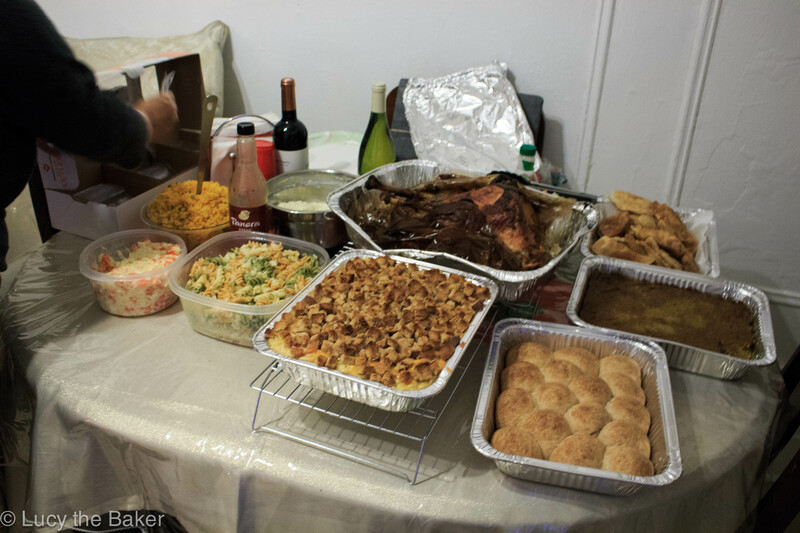 What Dominicans traditionally have on the table for Christmas Eve. Pray there’ll be leftovers. Moro de Gandules: Rice with pigeon peas. Another holiday staple at my house. Super simple but delish dish, made with my mom’s secret sofrito (actually, almost everything has this stuff in it). Pastelón de Verenjena. Eggplant casserole, which is almost like a lasagna. This is my fave, and is always at the table specifically for me. Layers of tempura fried grafitti eggplant, ground beef, green beans, tomato sauce, and tons of mozzarella. Basic green salad. About as basic as it looks/suggests. At the table for almost no reason as barely anyone eats this stuff. 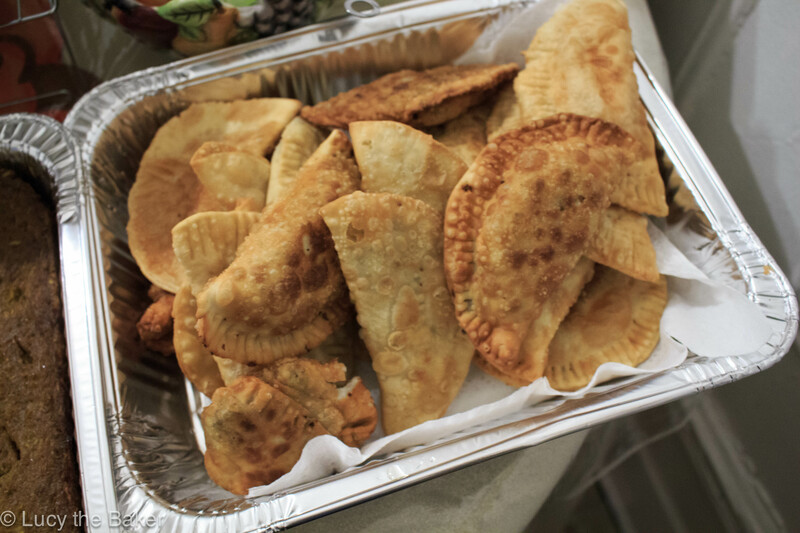 Pastelitos or empanadas. “Appetizers” except not really. Two kinds: cheddar cheese, and ground beef mixed with hardboiled eggs. Platanos Maduros. Last minute addition to the table of fried sweet plantains. Can’t no one say no to these. As you can see, this is basically Thanksgiving part two. 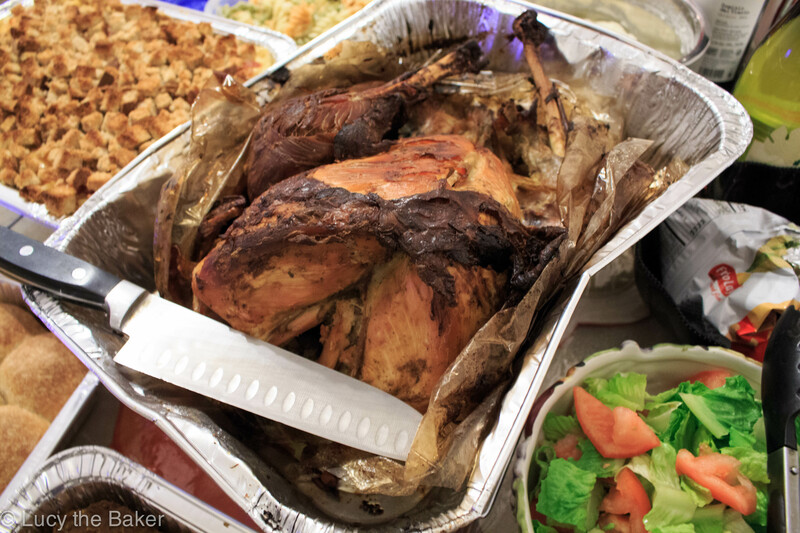 No one’s complaining, as basically everyone is all about that pernil (no turkey) (dang, couldn’t help that!). We had our littlest neighbor here, who’s eight and extremely hard to shop for. I don’t know but eight is such a weird age; not a teenager but not exactly a kid. That in between age is hard to gauge what they actually like. 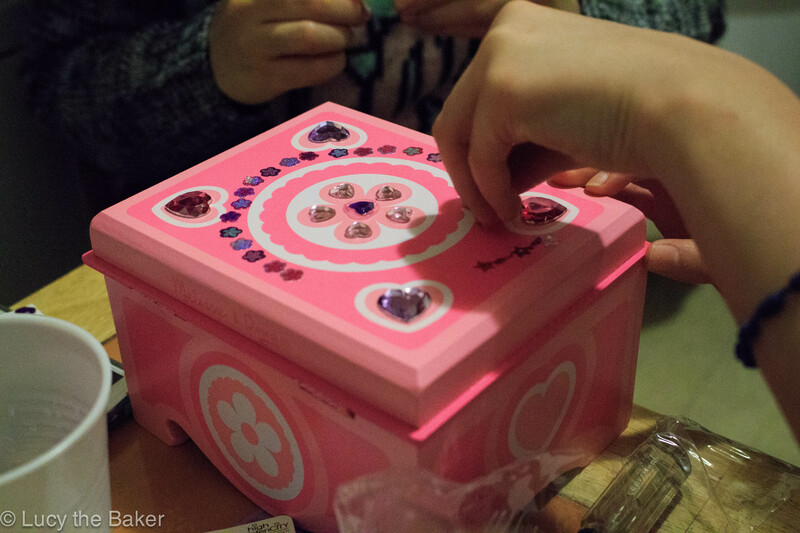 Strange, but we got her a password journal (which she LOVED), this super cute DIY jewelry box, and some trinkets from Claire’s. She and my sister decorated it in the kitchen. It was so fun to see her reactions to the gifts. One of the main reasons giving is the best! After all that, we had dessert. Since I was food adverse last week, I had nothing planned. Nothing, which is super unlike me. I asked my mom, which is moot as she never knows, what she wanted. 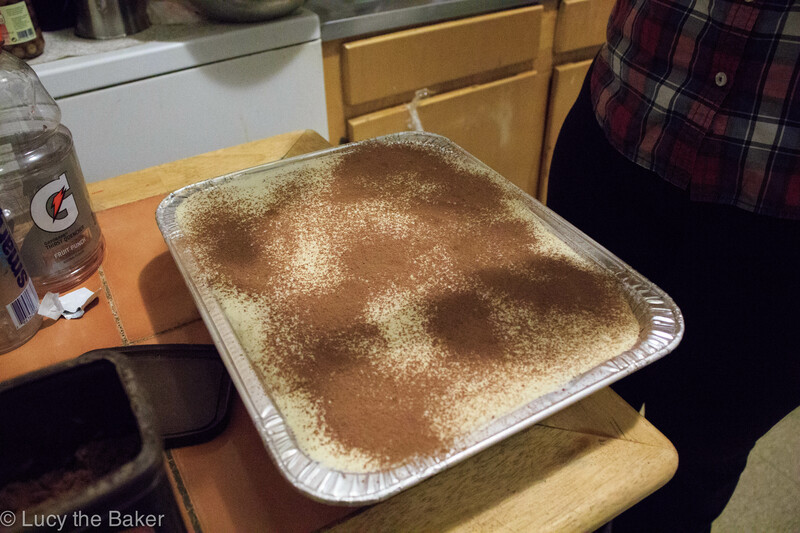 Got nothing from her so I ran with my sister’s suggestion of making a tiramisu. I rolled with it for three reasons: my sister asked, easy to make, and was on my bucket list anyway. I made it the night before, which was awesome because that freed me up to bake bread the next day. It was super simple to make, and is actually super delicious too. I have to say, for such a simple dessert, it was really good. It’s also not very photogenic, if at all. I used this recipe and have a few suggestions. The main one is to mix the mascarpone with the yolks because this stuff is stiff and will never incorporate with the mix when folding. No one wants a lump of cheese in a supposed smooth dessert. Another is to only soak one side of the lady fingers. These things are literal sponges and they soaked up quite a lot. Do one side and hope there’s still some bite when serving. Finally, add booze to this. Every baker’s secret weapon should be in here. I threw a bit whisky in the cream and in the coffee but it could’ve used more. All in all, it was actually a pretty nice Christmas Eve. There were a few minor setbacks that could’ve ruined things but others made up for it. If anything, this was a major upgrade from last year, and for that I’m most grateful. I hope everyone’s holiday was as uplifting as mine, and that this last week of the year is an awesome one! To me, it’s not Christmas without gingerbread. It’s probably my favorite holiday cookie. Where people might say sugar, I say gingerbread. It’s funny because I didn’t grow up with having gingerbread like that, especially for the holidays. Like I mentioned last year, the only time I had anything that even remotely resembled gingerbread was through a famous lady named Little Debbie. Thankfully, not anymore. I feel like though, in this day and age, if I ate one of her gingerbread men I’d probably get the worst headache ever. Processed sugar does that to me sometimes. These past couple of years, I’ve made it a point to have a gingerbread something for the holidays. My folks, as usual, are meh about them so my sister and I get to eat most, if not all of the cookies. 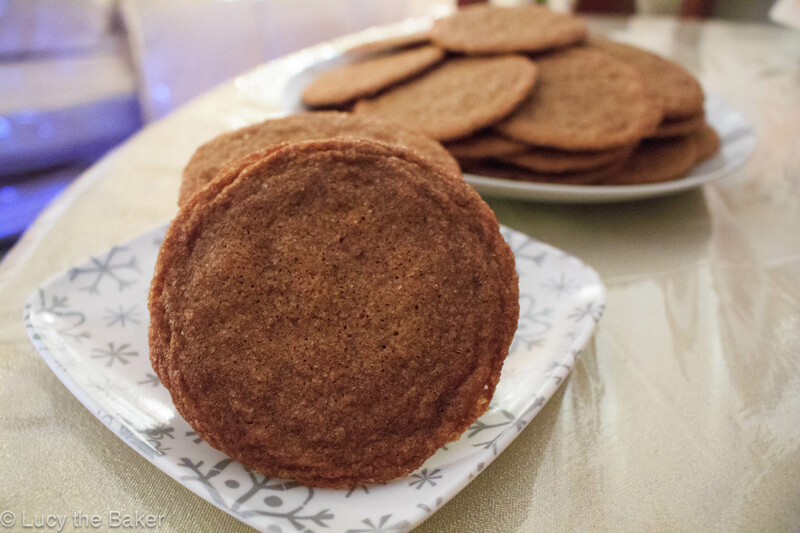 When I first started baking on theme things, and gingerbread was on the list, I started with this recipe. 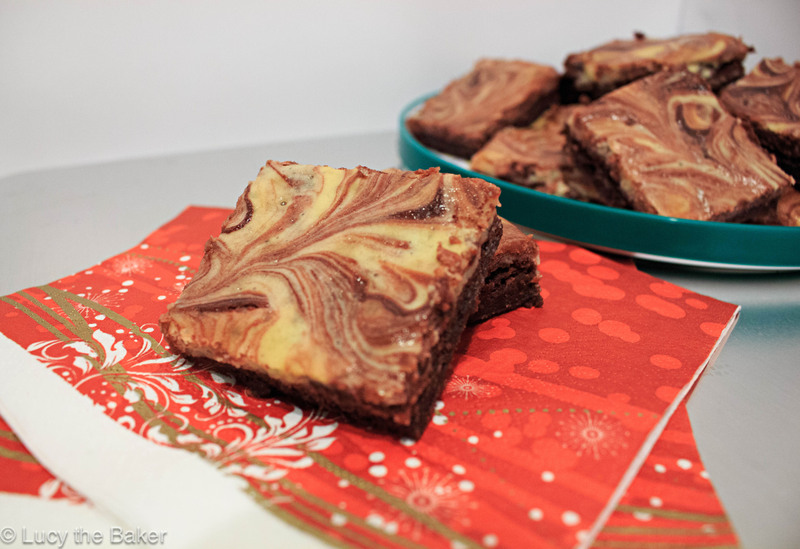 Allrecipes used to be my holy grail of recipes, and I sometimes go back there for old faves. I even have this very same recipe printed out on an index card, in a feeble attempt at a recipe box! Let me just say, formatting that on Word was a nightmare. 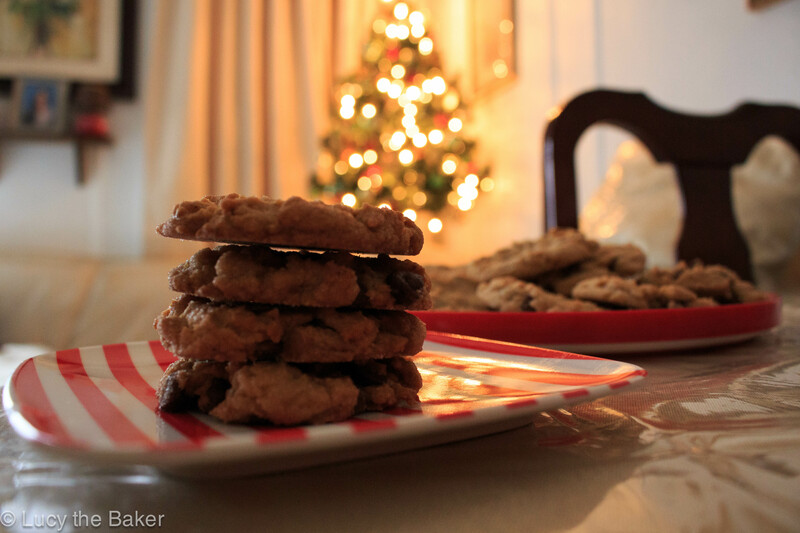 This year, in case you haven’t noticed, the cookie recipes I’ve posted have all been no fuss drop cookies. I swear it was unintentional. I realized this when I looked at my cookie wish list on my whiteboard the other day. I was deciding what to make next when I mentally screamed “WAIT A MINUTE! How come I don’t have cut outs?” I think my subconscious did me a favor by not choosing cut outs. Thanks, brain. Since these are not cut outs, they are super easy to make. There’s just three things I’d like to point out, though. The original recipe says to use margarine. I’m an all butter household now, and there’s no turning back. Why use margarine when there’s butter available? Unless you have like, dairy problems or something, use the butter. The second thing is, swap out half the sugar for brown sugar. I didn’t this time, because I forgot, but please do. There are molasses in these cookies already but brown sugar is awesome in these sort of things. Dark brown sugar if you can, although either works fine. The last thing I’d note is to refrigerate the dough a little bit. It’s super duper soft, which can be a real pain when trying to shape into uniform balls to dip in sugar before baking. Let them chill out for half an hour or so, then thank yourself for not making cut outs. Speaking of sugar, I guess I have one more thing to note. These cookies are rolled in sugar before baking, because why not add a little somethin’ somethin’ extra to these? Well, I upped the ante this year by rolling them in raw sugar. This was the best idea I had since deciding to add twice the amount of chocolate chips in a PB cookie. The crunch on these cookies because of this sugar is unbelievable. I was stunned, as I thought the dough would soak them up. It didn’t and they were fab. Now, my cookies spread out quite a bit but that’s okay. I want to say that it was partly because of my new sheet pans and silicone liners, but I just don’t know. Either way, the cookies are as fantastic as I remember. Chewy, gingery, and molasses-y; just like a ginger cookie should be. The ginger is subtle but still present, which makes you just want to eat another one. 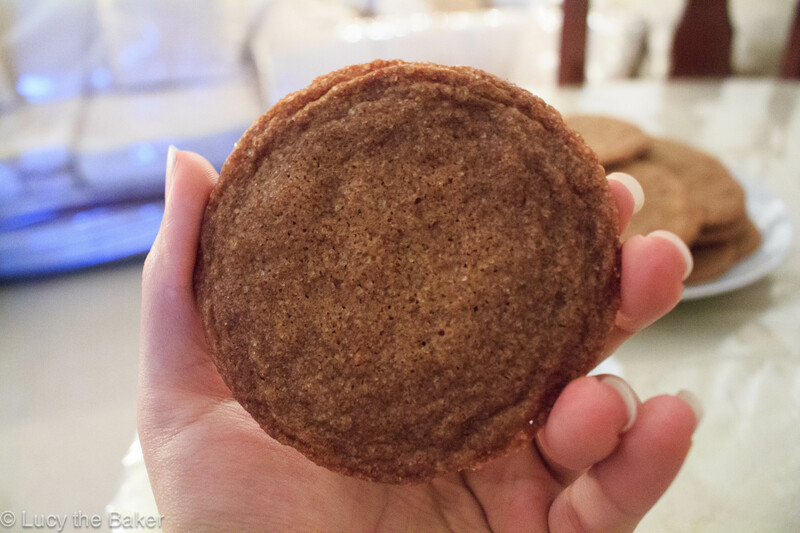 The crunch from the raw sugar adds depth to an otherwise all chew cookie. Since mine spread out something fierce, it also didn’t look too bad if you ate one or five. They weren’t thick so it didn’t count! Despite the fact that my ginger cookie this year was not in the shape of a little edible man, I still feel like I got in the quintessential holiday cookie. Good thing I can eat them all by myself! In a medium sized bowl, whisk together the flour, ginger, baking soda, ground cinnamon and cloves, and salt. Set aside. In a large bowl, cream together the room temperature butter and sugars until light and fluffy. Remember, you can go as long as you’d like. anywhere from 4-10 minutes; whatever it takes. Add the egg and vanilla, and mix well. Then add the molasses and the water until fully incorporated. Gradually add the dry ingredients to the wet mix, making sure it’s well incorporated before adding more. 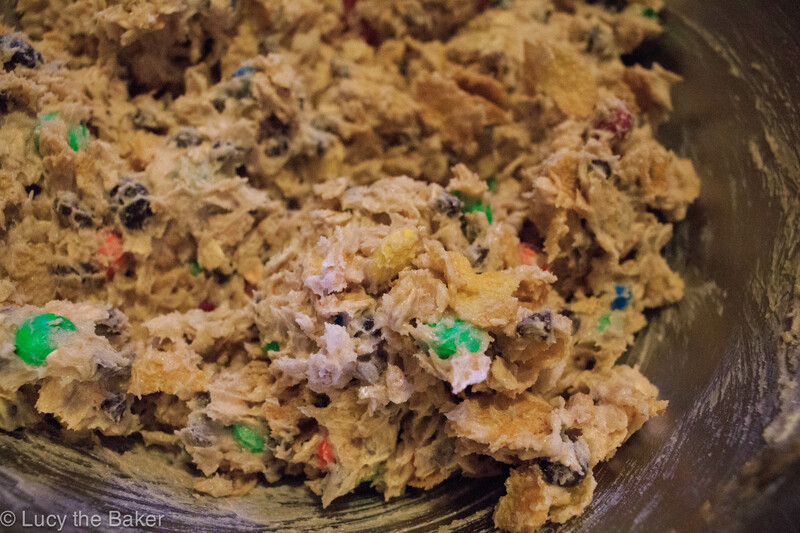 Fold in the last bit of dry ingredients, making sure to not overmix. Cover the dough and refrigerate for 30 minutes to an hour. You can definitely skip this step but a chill will make the soft dough a tad more workable. After chilling the dough, preheat your oven to 350F. Line two baking sheets with parchment and set aside. On a plate or in a small bowl, place the 1/4 cup of raw sugar. Scoop out the dough using a disher, tablespoon, or two small spoons, and place on the raw sugar. 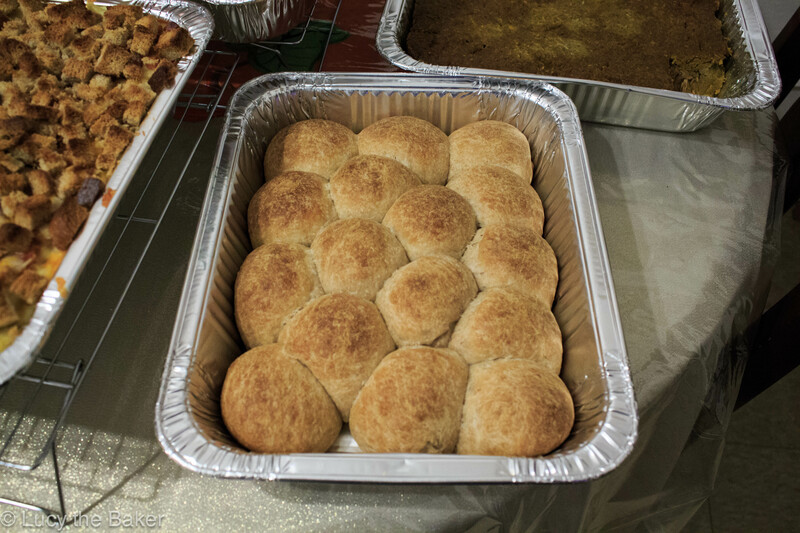 Roll the dough ball until completely covered and transfer to the prepped baking sheet. Bake the cookies for 8-10 minutes. 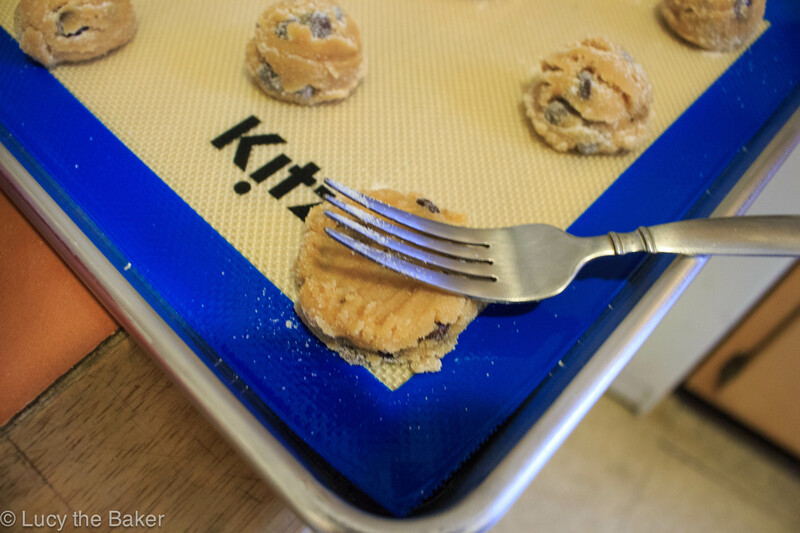 Let the cookies cool on the sheet for at least five minutes before transferring to rack to cool completely. I used maybe more than 1/4 cup to roll the dough balls in. Depends on the size of the dough ball, I guess. WOW. Last night was pretty awesome. SO MUCH FOOD! We shook up this year’s menu a bit from last year’s. Like I mentioned on Wednesday, we aimed for a little more of an American Thanksgiving. I feel bad saying it but I try really hard to Americanize our food and household. In retrospect, I probably shouldn’t because my culture is important to me and it’s something I want to keep going but I can’t help it. Anyway, the table was pretty much half our traditional menu and the other was American. Parker House Rolls from Bon Appetit. So fluffy and so good! Spotlight may be coming soon! Macaroni and cheese. SO AMAZING. We added bacon and made the full recipe. This is that one time I am SO happy we have leftovers! Pastelón de viveres. This is my mom’s ~thing~; I don’t eat this at all. It’s basically a starch heaven casserole made with two kinds of taro root, green bananas (not to be mistaken with plantains but those can be used too), and kabocha squash. In the middle, there’s a layer of cooked pork. If you’ve ever had Dominican (or Puerto Rican? I’m not sure) pasteles en hoja, this is similar to that minus the leaves and the boiling part. It’s a weird culmination of things but my mom likes it and has been making it for the holidays lately, so I guess it’s here to stay. Salads and rice. 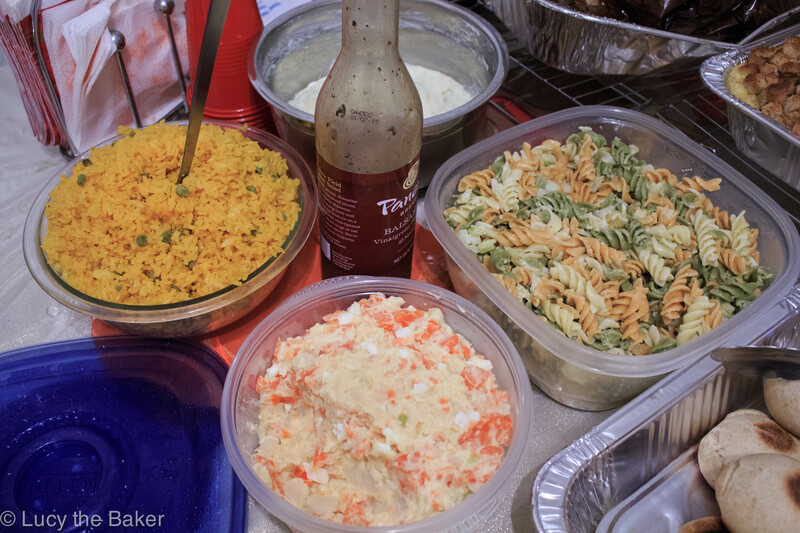 On the left is my mom’s yellow rice with peas, below that is our potato salad, and next to that is macaroni salad. The potato salad contains boiled and diced potatoes (duh) and carrots, diced hard boiled eggs, mayo, white vinegar, chopped cubanelle peppers and onions. The macaroni salad is almost the same as the potato salad; instead of potatoes, carrots, and eggs, it’s just tri colored macaroni. 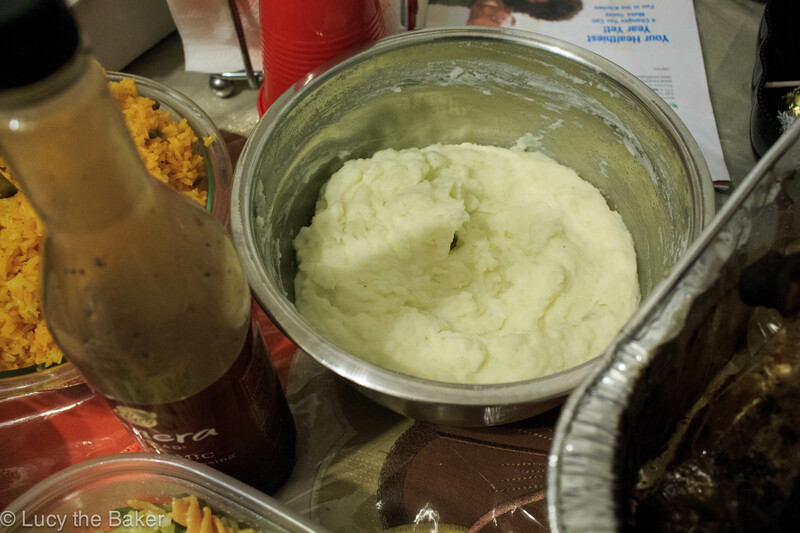 Behind the salads was my sister’s mashed potatoes. She made this on her own, without a recipe! Very proud of her efforts, and they were delicious. Pastelitos or empanadas! These were filled with ground beef and diced hard boiled eggs. Some were just cheddar cheese. Crowd favorite! For dessert, we had this Apple Cranberry Torta from Cooking Channel TV. I made several changes to the recipe but it was a moist and delicious little cake. I feel like it was maybe a cross between a pie and a cake. I’m still trying to edge that in, obviously! Recipe will be posted below. Full spread. And my mom’s arm. In a small saucepan, heat the orange liqueur just until warm. Turn off the heat and submerge the dried cranberries and golden raisins. Set aside. Preheat the oven to 350F. Butter and line the bottom of an 8-inch round cake pan. In a medium sized bowl, whisk together the flour, cinnamon, baking powder, and salt. Set aside. 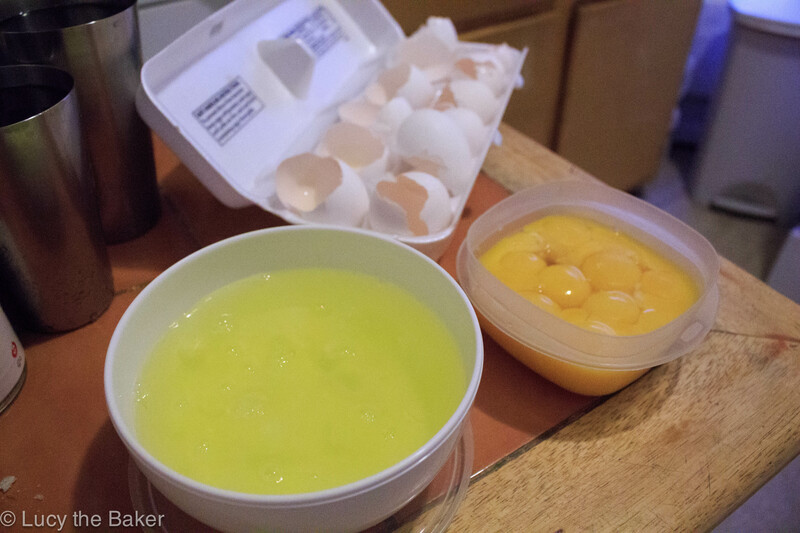 In a large bowl, beat the four eggs and add the melted butter, sugar, vanilla, and orange zest. 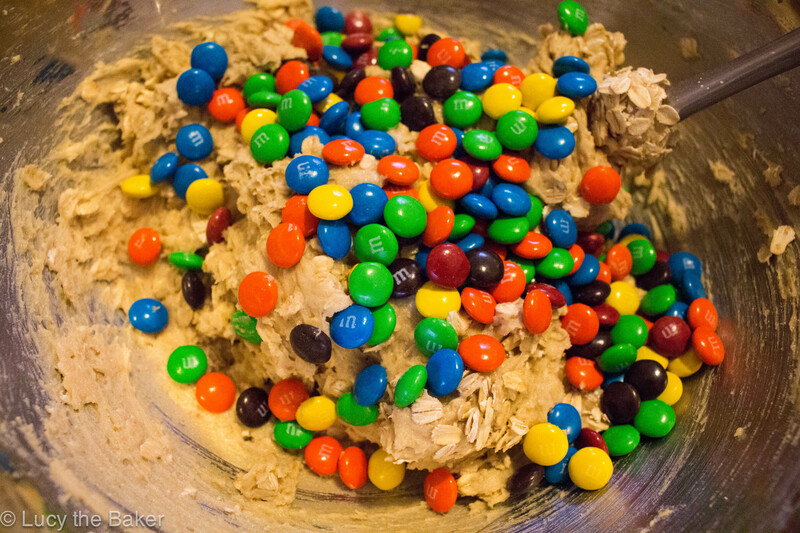 Mix in the dry ingredients and beat just until combined. Gently stir in the apples, cranberries and raisins. Pour batter into prepared pan and bake for up to 30 minutes. Cool slightly in the pan before inverting to peel off the parchment. Serve slightly warm. I took the walnuts out of this and replaced it with golden raisins because half my family is allergic to nuts. I used one large Granny Smith apple but use any kind you’d like. I also soaked my dried fruit for quite a while, which helped them sustain the orange liqueur flavor. Thanksgiving is finally here! Well, tomorrow officially but the wait is basically over. Even so, I don’t have a very clear idea of what’s landing on my dinner table tomorrow. It’s a struggle every year but this year feels different. Anyway, I don’t have a recipe for today. Instead, I decided to do a little link roundup of recipes I’ve made or I’ve seen on the internets that I like and are on theme for tomorrow’s dinner. 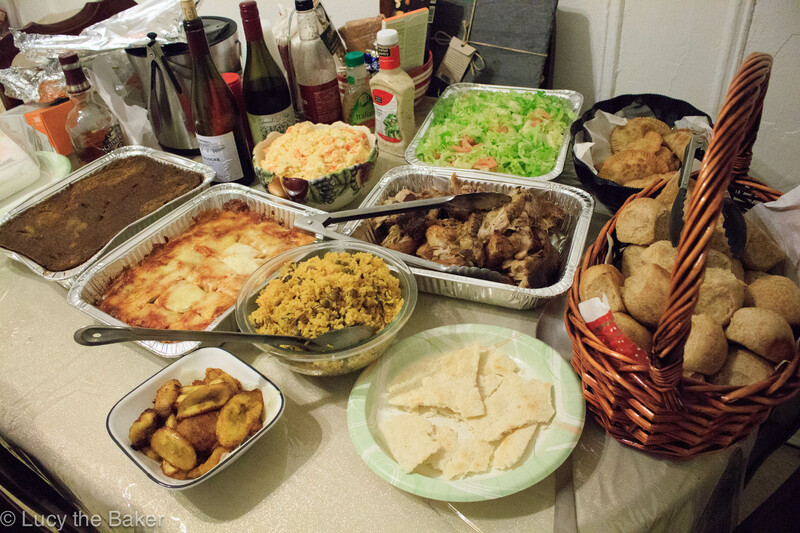 I’m including a few Dominican recipes that we’ve had for the holidays for those that want an idea of how to make some of those dishes. They’re not my recipes but we’ll get there one day! 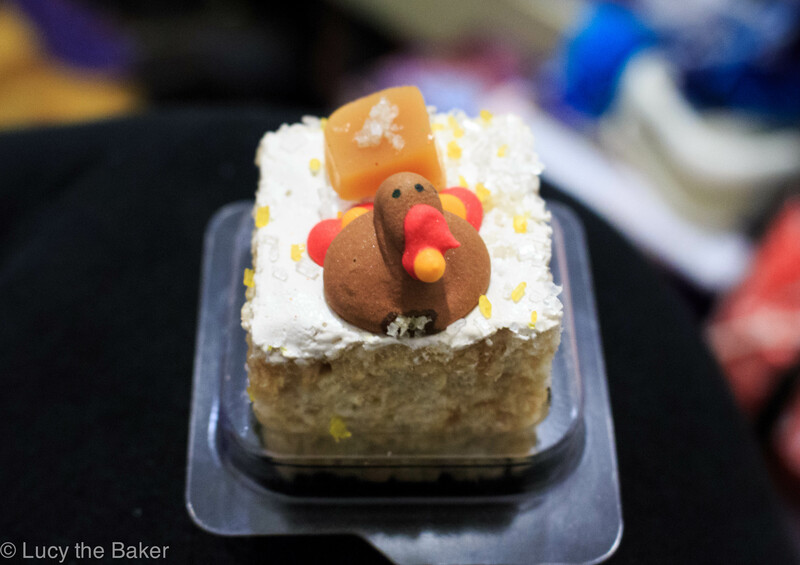 There will also a recap post of my Thanksgiving on Friday, so be on the lookout for that. 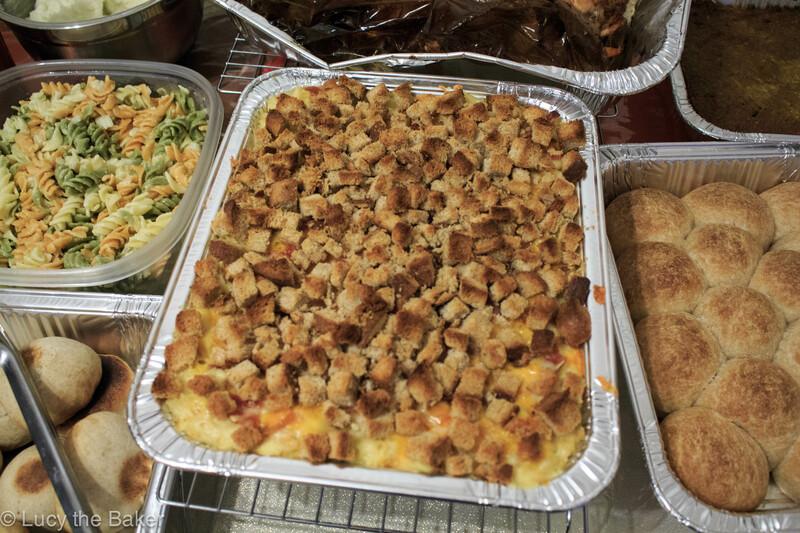 Missed last year’s Thanksgiving recap? Check out what I had for dinner last year here. Thanksgiving kind of snuck up on me this year. I’ve been anticipating it since early October but I’m still shocked it’s actually next week! I’m even more shocked because I have nothing planned yet, which is SO not me. By now, my mom and I usually already have our game plan down, with only last minute things on the grocery list. We don’t even have a turkey yet! 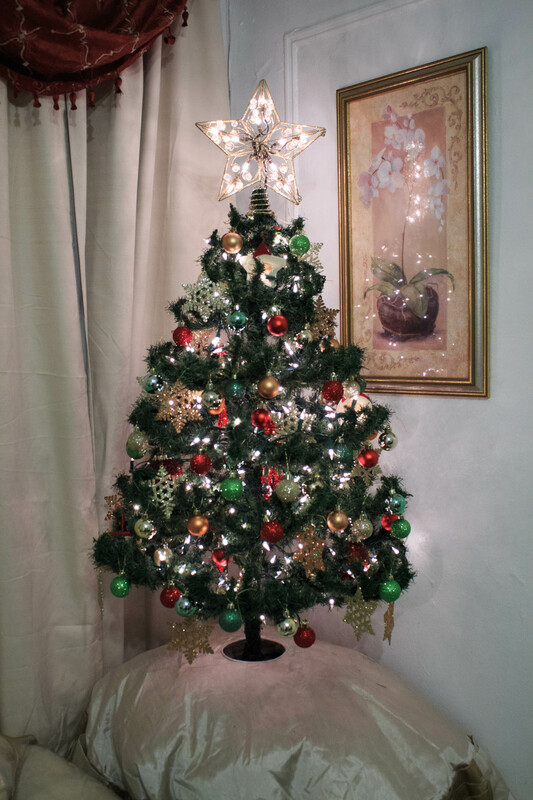 What makes it worse is that I’m already getting ready for Christmas, which totally goes against the traditionalist in me that doesn’t skip over holidays. I don’t know, but the holidays so far have thrown me for a loop. Besides the fact I have nothing planned, I at least have a quick and awesome dessert option for you semi-traditionalists. 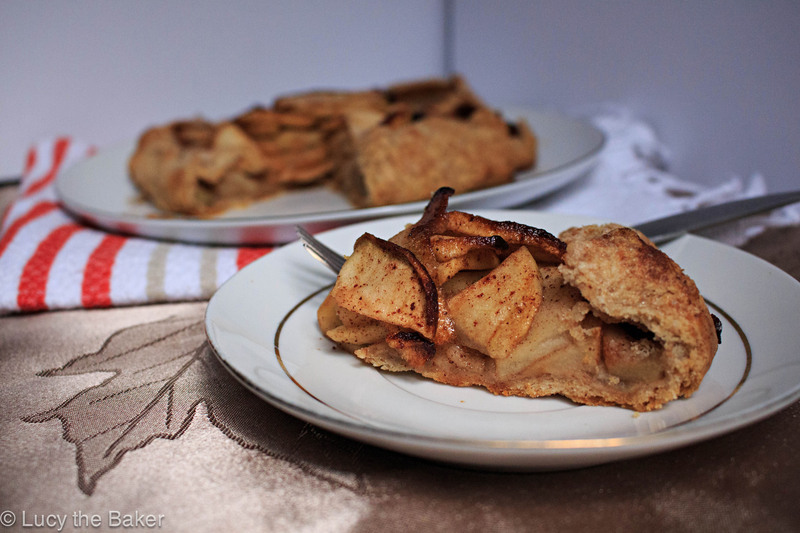 This isn’t your traditional apple pie, but is delicious in its own right. Part of what attracted me to making a galette, aside from it being an apple dessert, is its simplicity. 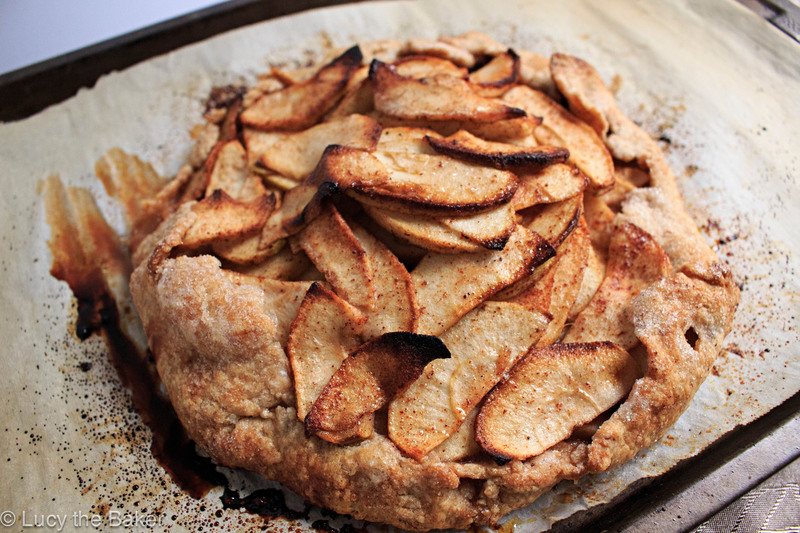 If you can make pie crust, you can make this galette. Even if you can’t make pie crust, you can still make this galette. No fancy equipment is needed to make this, which is awesome, and is super quick to put together. The other thing that attracted me to this galette? The fact that it’s free form. I don’t yet own a pie dish (gasp!). It’s true, I don’t have one. I’ve mentioned it before but we’re just not pie people. No matter how hard I try to get my folks to appreciate pie, it just won’t happen. I guess that’s just one of those American things that’ll never stick at the table at my house. Sad because pie is awesome but there’s not much I can do there. The only thing I own relatively close to a pie pan is a tart pan. The issue there is that it’s pretty big, which is hard to use when most pies and tarts are usually 9 inches in diameter. This is where the galette saves the day. After making the crust, you just roll it out as far as you can, place it on a lined baking sheet, pile the apples on top and fold up the edges. That’s it! No matter how ugly you think it looks, it will come out beautiful and rustic looking. I love it when desserts aren’t intentionally pretty; makes the homemade factor look even more appealing. Speaking of the crust, it’s super easy to make. No food processor required at all. Sure, it’s handy but you can easily make this crust without it. To cut in the butter, you can either use a dough cutter, a pair of forks, or your hands. I opted for my hands but any of the above works fine. I also subbed half the flour with whole wheat for some nuttiness and pseudo healthiness. Now, let’s talk about the apples for a minute. 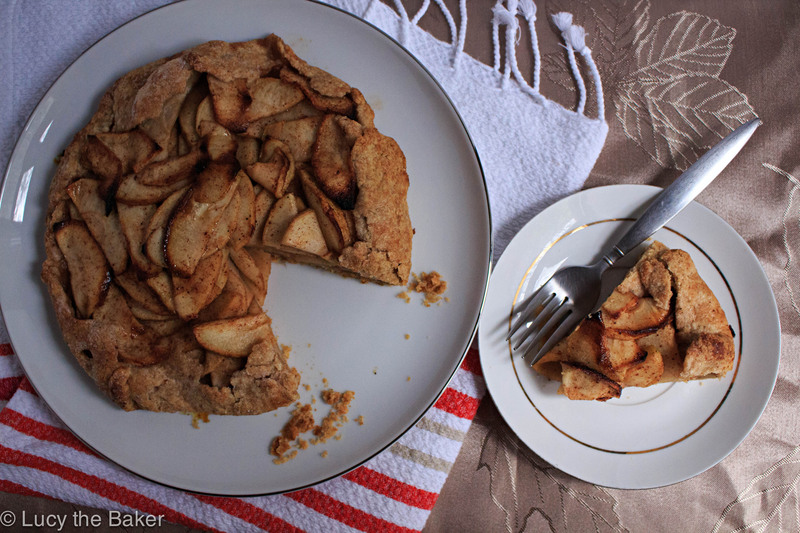 For this galette, your apples need to be thinly sliced. You don’t need fancy equipment to make this happen but if you want all slices to be even, break out your mandoline (or handoline, like we did last week) for slicing. I freehanded the slicing this time, because I don’t think evenness is necessary here. You can also artistically lay the slices onto the crust to make it look even fancier, but I just piled them in. In a large bowl, add flour, sugar, salt, and 2 tablespoons of the butter. Blend in a mixer, using a dough cutter, with forks, or your hands until dough resembles coarse cornmeal. Add remaining butter and mix until biggest pieces look like large peas. 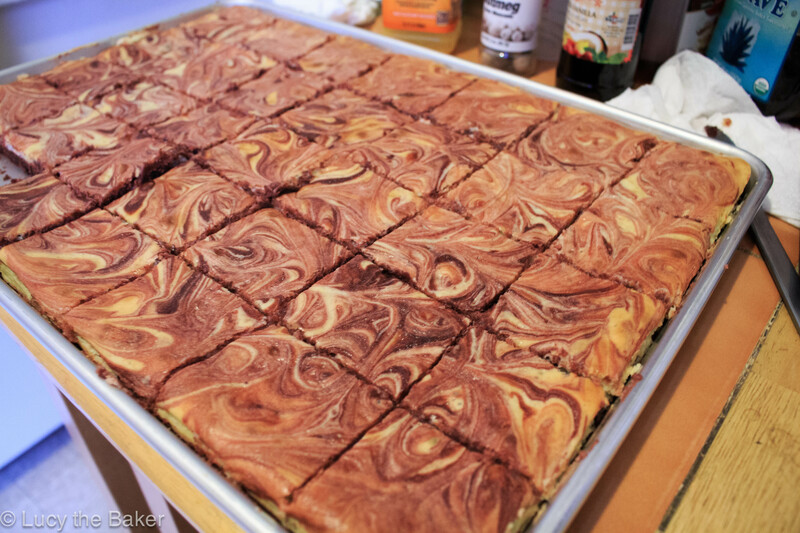 Drizzle in the water, stir, then drizzle in more until dough just holds together. Toss with hands, letting it fall through fingers, until it’s ropy with some dry patches. If dry patches predominate, add another tablespoon water. Keep tossing until you can roll dough into a ball. Flatten into a 4-inch-thick disk and refrigerate for at least 30 minutes. Remove the dough from the fridge and let sit out for a couple of minutes, until the dough is malleable but still cold. On a lightly floured surface, roll into a 14-inch circle about 1/8 inch thick. Dust excess flour from both sides with a dry pastry brush. Place the dough on a parchment-lined baking sheet. Heat oven to 400°F. 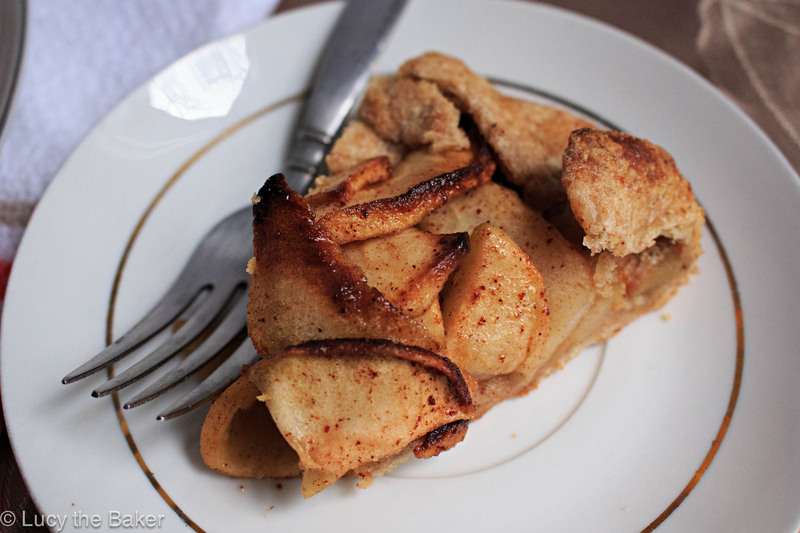 Toss sliced apples with 4 tablespoons of sugar and the cinnamon. Brush melted butter over apples and onto dough edge. Sprinkle 2 tablespoons sugar over dough edge. Bake in center of oven until apples are soft, with browned edges, and crust has caramelized to a dark golden brown, about 45 minutes, making sure to rotate galette every 15 minutes. For the glaze: Put reserved peels and cores in a large saucepan, along with sugar. Pour in just enough water to cover and simmer for 25 minutes. Strain syrup through cheesecloth or sieve. Remove tart from oven, and slide off parchment onto cooling rack. Let cool at least 15 minutes before glazing, slicing, and serving. I originally sprinkled the sugar (as per the original recipe) onto the apples, but will toss them in sugar in the future. I found it wasn’t sweet enough but if you like your galettes on the tart side, stick to sprinkling. The galette is best served slightly warm. Even better with ice cream and a side of whipped cream. Just sayin’.